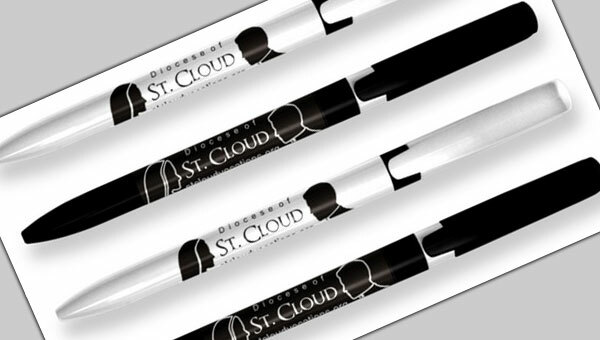 Our popular, stylish, and easy flowing Vocation Pen feature a two tone color which creates a "priest's collar" effect on the black pen. Available in a variety of colors but most commonly ordered in black with white ring or white with black ring. However, a Franciscan Order created a nice white, brown, and gold version. 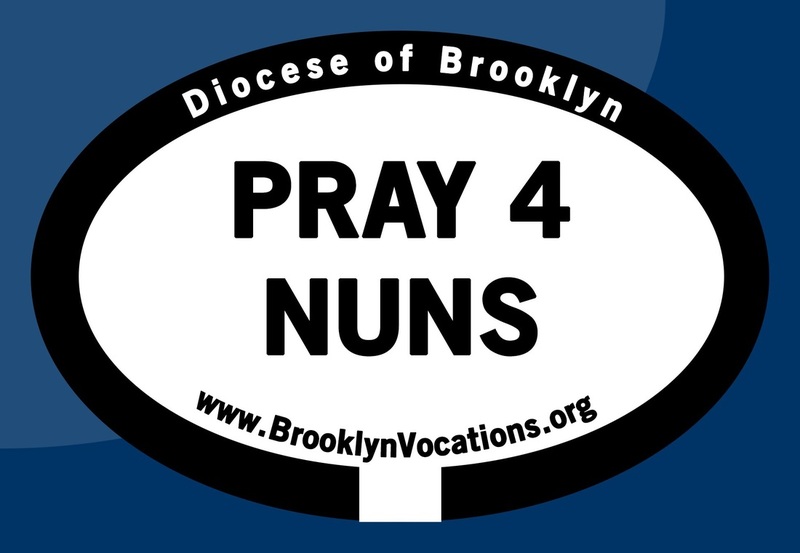 Everyone is making a statement these days with car magnets and window stickers. 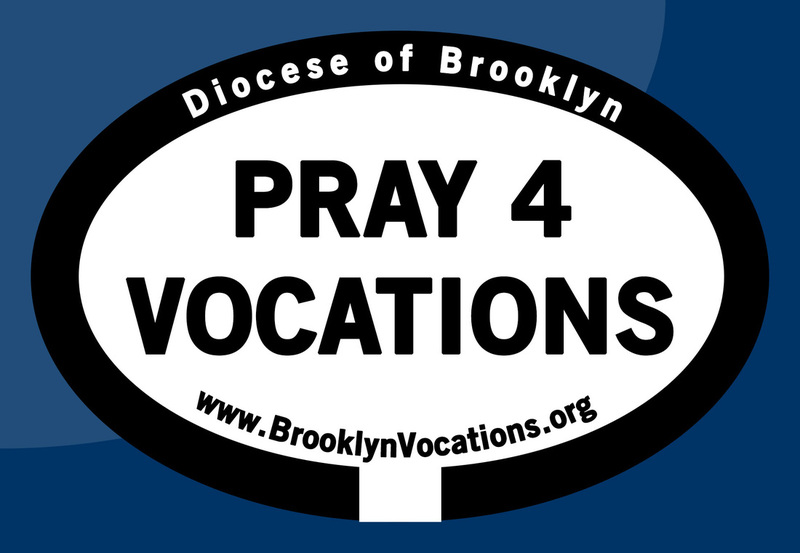 Now you can make a statement with our "Pray 4 Vocations" car magnets! Our heavy duty 4"x6" oval magnet is made for outdoor use and works great on cars and trucks. 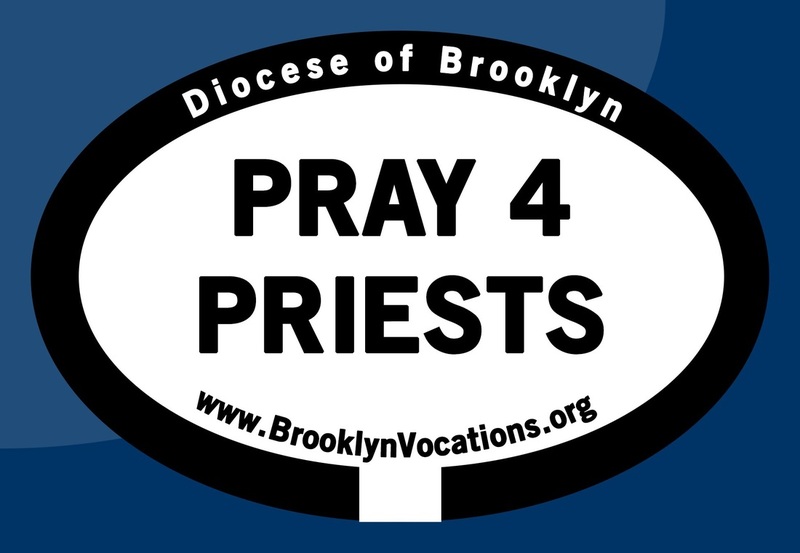 We can also customize the text to read anything you would like such as "Pray for Priests" or "Pray for Religious". Variety of color available or go with the special black with white collar. 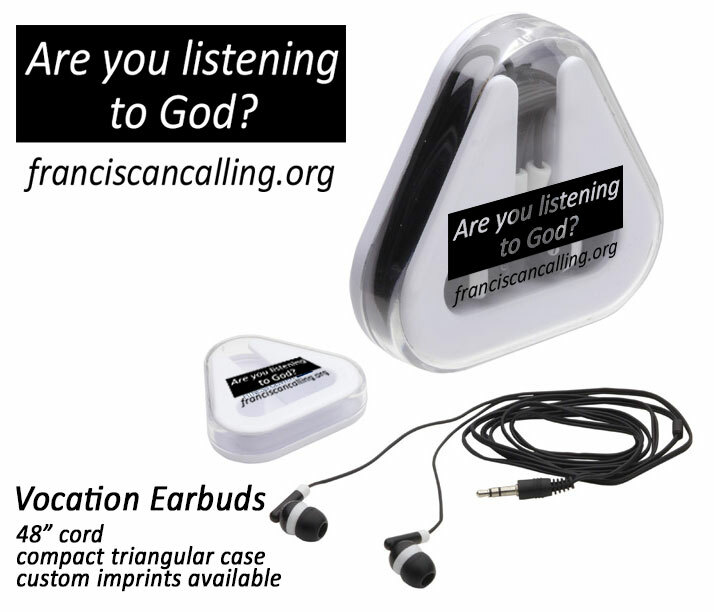 48" headphones in a printable triangular case. Give away an item that everyone will want and use. Make carrying multiple loose items a "cinch" with this new Trapezoid Cinchpack. This appealing bag is both lightweight and flexible with drawstring closure and easily accessible front slip pocket. 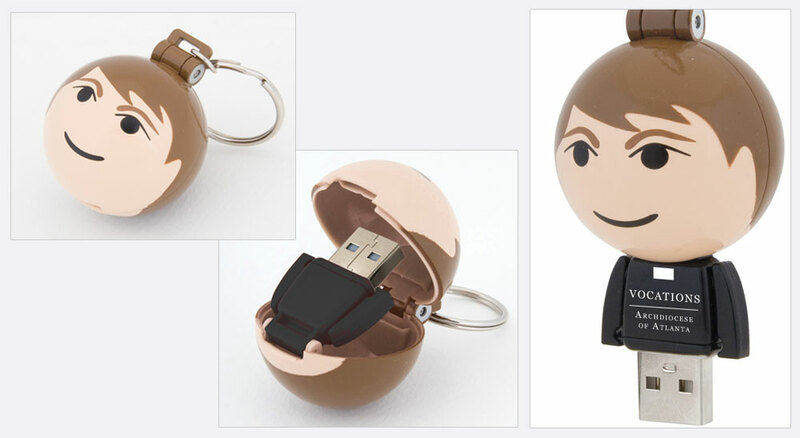 It's a USB Drive that looks like a priest! We can pre-load the USB drive with your own videos, files, pictures, etc. Various hair and skin colors available. Other GB sizes also available. 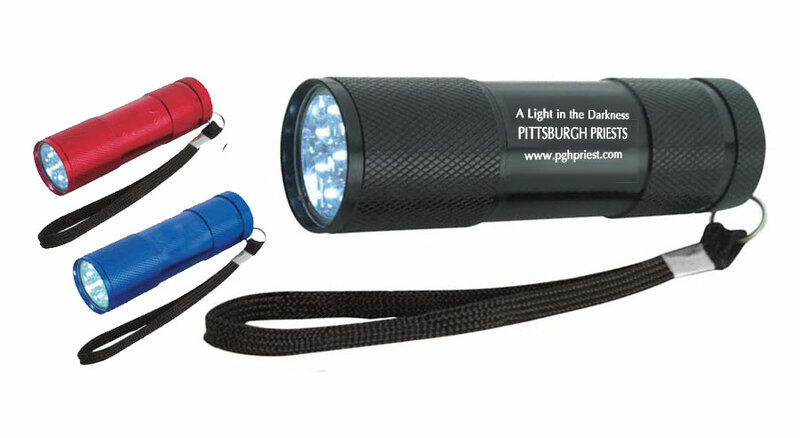 9 ultra-bright LED's illuminate this 3.3" x 1" diameter Vocation flashlight. 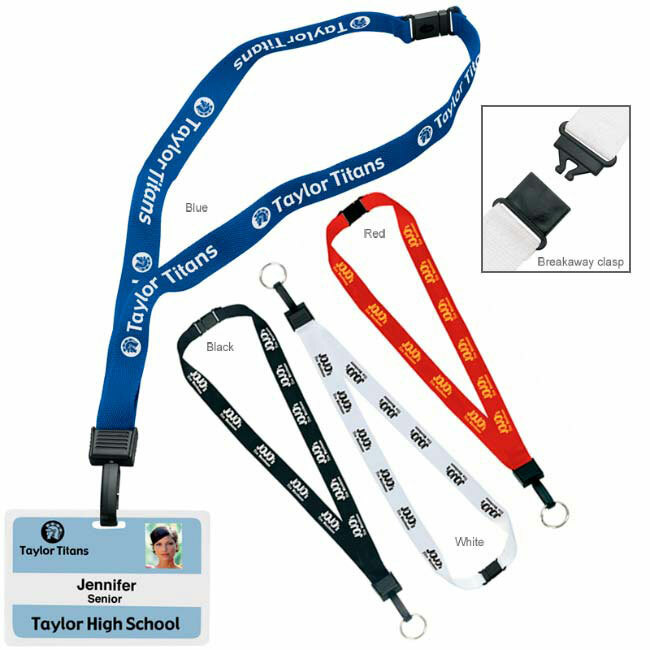 3/4" Breakaway Lanyard. Various colors available.